By now your hotel’s digital marketing strategy should be incorporating social media as one of the main components to driving traffic to your website, raising brand awareness and growing your online presence. Before you decide on allocating a large marketing budget to participate and manage all the social media channels out there, it is imperative that you take the time to research which channels will have the most positive impact on your hotel’s ROI. 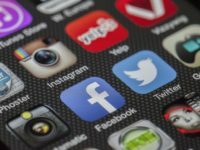 Choosing the right social media channel for your hotel requires research before investing time and effort into posting and engaging on each network. Once you realize the overall importance that social media has in growing your hotel’s potential customer base, it is now time to decide which channels to invest the most time and effort in as well as what goals you would like to achieve with each channel. The very first step to executing a successful social media strategy is figuring out which channels to be on and why. Begin researching the benefits that each social media channel would bring to your hotel’s digital marketing campaign and then determine the goals you hope to achieve by participating in those channels. This will help you decide where to focus your attention on that would result in the highest ROI. Who am I looking to connect with? Millennials? Families? Business Travelers? Which channels are they currently interacting on now? What content does my customer base find interest in? Amenities? Local Area? Specials? Another thing you’ll want to do some research on is your competitors. Find out which channels they seem to be investing the most time on and look to see how much interaction and engagement they are receiving from these channels. For example, if most of your competitors are active on Twitter but you notice they receive little to no engagement, then you can assume that either the hotel isn’t providing valuable content to the consumer and thus receiving low engagement or that your customer base isn’t active on this particular channel. Whatever the case may be, be sure to take the time to look through your competitor’s social media channels and investigate their success and failures based on what they post and how much engagement they receive. Facebook is a must for all hotels. To this day, Facebook still continues to grow in popularity and is the integral part in effectively telling your hotel’s story. Building your hotel’s Facebook page requires time and attention in order to cultivate a relationship with your audience. There are several benefits to being active on Facebook. For one, it drives traffic to and from your website and helps build brand exposure. Facebook is a great way to encourage potential guests to book with you by sharing your hotel’s story including what amenities and specials you offer and letting them know upcoming local events as well as offering travel advice. Many travelers often use Facebook as a source and guide during the research and planning phase. If your goal is to provide value to the consumer, then Facebook is great channel to showcase yourself as an expert in the area. Now if your goal is to improve guest satisfaction and communication, then you will want to focus your attention on Twitter. This channel is a great way to portray your hotel’s digital concierge. Twitter users tend to communicate on this channel to ask questions directly to the hotel or even to make a complaint public. Unlike Facebook and the other social networks, Twitter receives more guest relations and customer service questions. When managing Twitter, be sure to respond in a timely manner. The more responsive you are to guest inquiries on this channel, the more satisfied they will be and more likely to interact with your hotel on this channel again. Although many hotels still don’t seem to see the value in Google +, there is an undeniable benefit to your hotel’s search presence. Since it is a Google product, it can potentially have the most long term impact in how you rank on search results. Google + is one of the most important channels for SEO purposes. You may find that your customer base may not be active on this channel, but you don’t want to neglect being active on this channel. With that said, you’ll want to post your hotel’s story on this channel and incorporate keywords into your description. As you would with Facebook, be consistent with your postings on Google +, in order to help boost your hotel’s search placement. With Instagram surpassing Facebook’s user base, it is vital that your hotel is active on this social network. Research has shown that Instagram receives about 58% more engagement on average than Facebook. With that said, utilizing Instagram is definitely worthwhile especially for hotels. As an image-based platform, you can get as creative as possible with your photos and let the photos speak for themselves. Instagram has a number of features that allows you to reach a wider audience by using hashtags, location tags and even sponsored posts. We also strongly encourage you to share photos that guests have shared on their own Instagram page. Sharing this kind of user generated content is a clever way to avoid self-promoting your hotel. Another image-based network that is widely used by many travelers is Pinterest. This channel is particularly popular amongst travel consumers during the research and planning phase. If your hotel is within a popular travel destination and nearby many demand generators, then having a Pinterest page should not even be a question. Because many travelers are already on this site, it is only intuitive that your hotel build a Pinterest page that will inspire the consumer to stay at your hotel. Create visual content that tells your hotel’s story and add boards that will highlight attractions surrounding your hotel. Although Pinterest is not focused on conversational interaction like Facebook is, it is still an important aspect to generating traffic to your site by sharing information visually and by captivating travel inspiration to the user. Now that we’ve gone through each social media channel and highlighted the benefits of each, you can conclude that each channel has a positive impact on your hotel’s overall ROI. Although each channel has its own unique goals, they all do have one common purpose which is to increase brand exposure and assist with direct bookings. Keep in mind that every post should provide value to the consumer and be consistent in your messaging. By learning the benefits each channel has for your overall marketing strategy, the better leverage you will have in promoting your hotel’s story.